Ian Anstice is a passionate librarian from the North West of England. When he's not at his day job, he's busy running esteemed library website Public Libraries News. 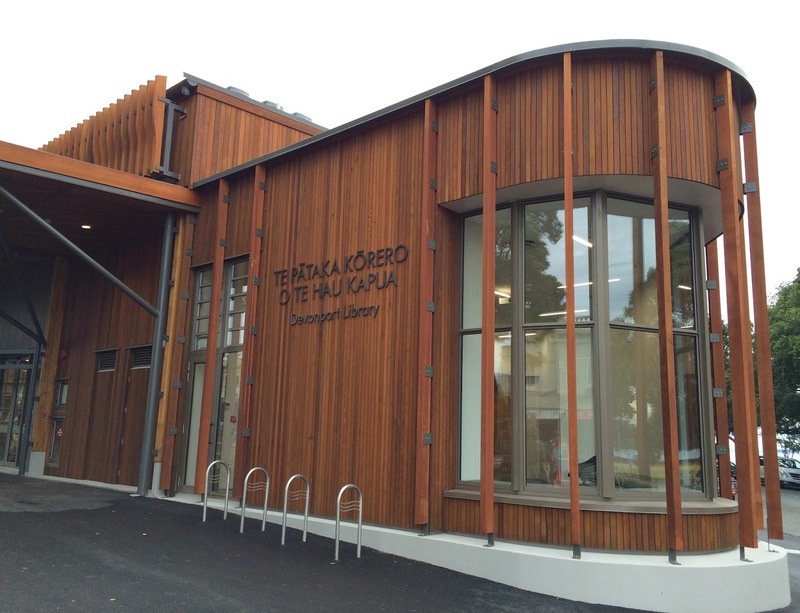 Recently Ian interviewed Auckland Libraries regarding the newly opened Te Pātaka Kōrero o Te Hau Kapua - Devonport Library. He's kindly allowed us to reproduce his Q&A here. I come across some marvellous stuff while doing Public Libraries News. Devonport's new library caught my eye, not least because of the specially installed cat flap. Sadly, I'm not able to get to the other side of the world to see the lovely new building myself - would you kindly answer my queries? Ian Anstice: Where was the funding obtained from the new library and what happened to the old one? Auckland Libraries: The Devonport Library project was a $7.8 million Auckland Council-funded project. Auckland Council is a largely ratepayer-funded local government organisation. 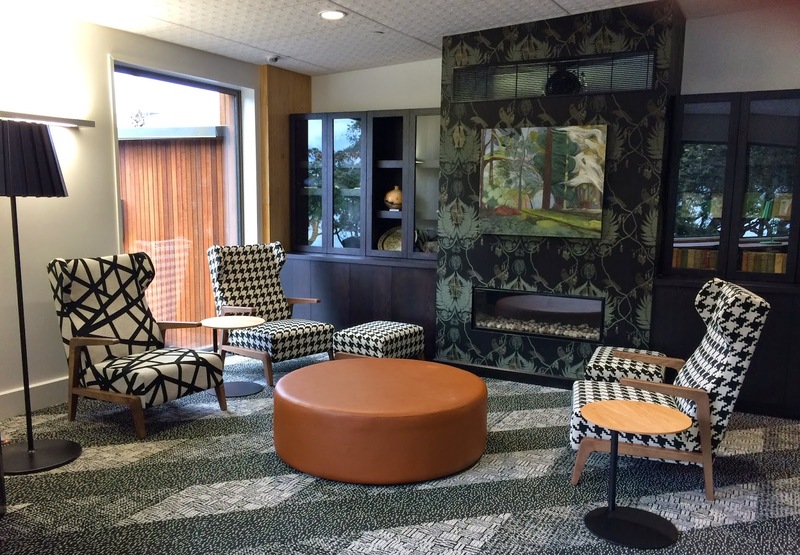 Some elements of the project were funded by supporting organisations, such as Te Rongo Kirkwood’s glass artwork in the foyer and the lights that hang in the Matariki (Pleiades) formation in the library which were funded by the North Shore Libraries Foundation. The old library was demolished. IA: Is it normal to have such add extra aesthetics - artworks, lovely ceiling, etc - to a library in Auckland? AL: Auckland Council is a champion for quality urban design in the Auckland region, it sees good urban design as critical for enabling Auckland to become the world’s most liveable city. For this reason, council-led projects must lead by example and Devonport Library is no exception. The brief provided to the architects required innovation, efficiency, carefully selected materials, quality design and finishing, a controlled air conditioning system and flexibility to cope with future changes in technology or building use. Council’s public art approach is also based on best practice – it looks to integrate artwork into the development of projects, rather than retrofit spaces with unrelated pieces. For example, Judy Millar’s Pattern Her Mind with Broken Time is a hand printed silk screen that serves as a functional security barrier to enable community use of the building when the library is closed. Barry Brickell’s Harbour Ferries collection of 18 terracotta relief tiles were first installed in the old library in 1979 and have been designed into a special space in the new building. Collaboration with Māori is also a priority for Auckland Council. Five tribal groups identify the Devonport area as their ancestral lands and have worked with council to tell their stories throughout the building. A pare (lintel), with tribal carvings from each group, hangs over the main entrance; the design of carpet tiles has been derived from locally relevant Māori patterns; lights have been hung in the Pleiades constellation formation, known to Māori as Matariki and symbolising the Māori new year and the building has been ‘gifted’ a Māori name – Te Pataka Korero o Te Hau Kapua. Has there been an increase in usage? AL: Yes! In the first eight days, 13,532 people passed through the doors and an estimated 30,000 visited in the first month. This is more than twice the number of visitors the old library received. No! Benjamin has been part of the local community for many years, after making himself at home at the library one day – quite of his own accord. He arrived in 2002 and we think he’s around 14-16 years old. Community consultation on plans for the new building provided plenty of feedback that we must make sure Benjamin is provided for, so when creating the design for the new library, the architects made provision for Benjamin by including a cat door in the staff workroom door. During the day, Benjamin can come and go as he pleases. At night time he only has access to the staff workroom via his cat door and the security system is pet sensitive. IA: I understand since you reopened you have started a new Minecraft group: Is that a common thing in your libraries? AL: We're delighted at the popularity of our new Minecraft Meet-Up; around 20 children attend each session. Sessions are held every Thursday from 3.30pm to 4.30pm and offer children the opportunity to get together with other young Minecrafters and play together in a fun and safe environment. The children can bring their own device and use the library’s wifi: those without devices can join in with Minecraft paper craft activities. Many libraries across Auckland have Minecraft clubs or meet-ups. In general, our young people are loving the new teen section. Often the port-hole window is occupied with teenagers sitting in the window seat, reading or chilling. Thanks for answering my questions Auckland Libraries!